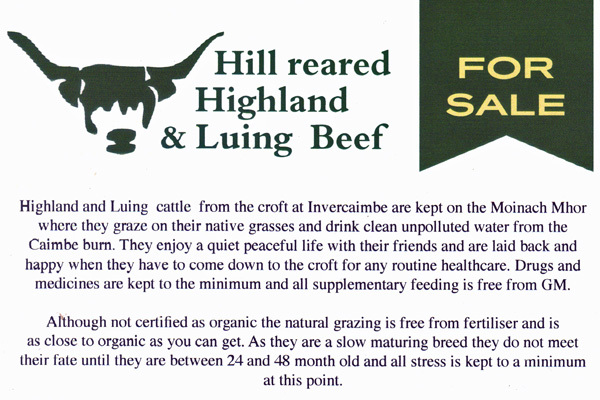 Highland and Luing cattle raised on the croft at Invercaimbe near Arisaig. Regular cuts are fillet, sirloin, rib eye and frying steak, cubed shoulder and braising steak, 100% mince, burgers and lorne sausage, and topside, silverside and ribroat on the bone. Please see Facebook page for details of current availability.